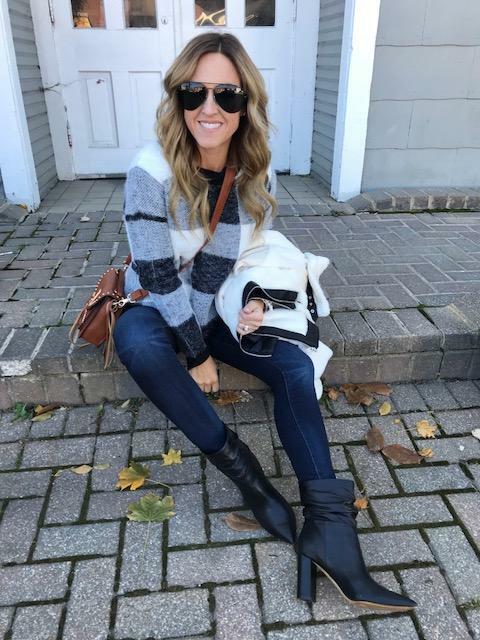 A couple weeks ago Betsy shared an adorable Fall plaid look with you from Walmart in this post. You all loved it! So now, I'm so excited to be partnering with Walmart again to share 2 Winter-inspired looks. This is a two-part post so make sure you check back tomorrow to see how I styled this chic Winter white jacket a completely different way! I'm all about jackets through Winter as they are such a statement maker and really a cold-weather essential! This jacket has faux fur, suede and leather...all the things you'd want in a jacket! So pretty, really good quality and right on-trend. Did you know that Walmart offers 2 different shops? Everyday brands and premium brands. 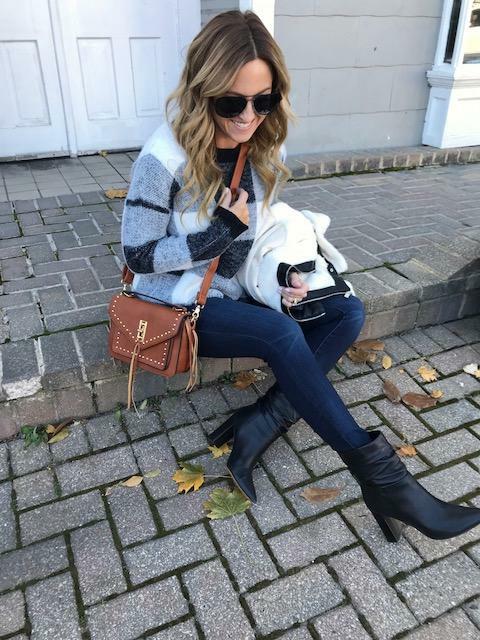 I think we can all agree that a high-low mix on your daily outfits is what we all strive for in creating that affordable, yet chic, pulled-together look. This outfit is just that! I found some amazing pieces under both categories and they mix together perfectly. Buffalo plaid is one of my favorite Holiday/Winter prints! 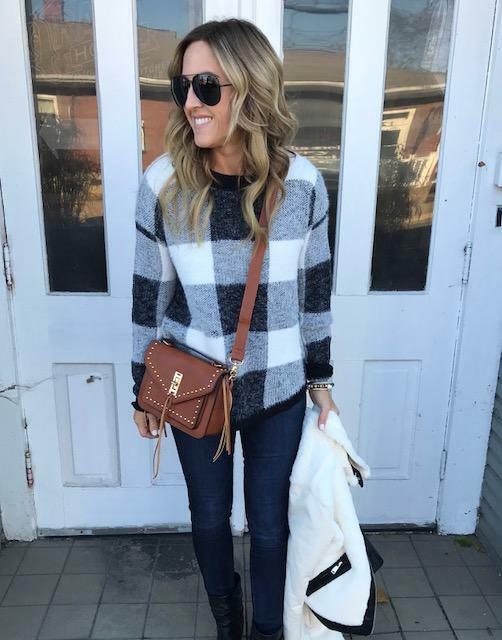 This black and white sweater is adorable. A perfect stand-out piece for during the day or dressed up for a Holiday party. My absolute favorite go-to is a quality pair of denim. Most days a week, you'll find me wearing jeans in a dressy-casual look. I found these skinny ankle jeans under Premium brands and they are just $63!! That is such a great price for high-quality jeans. Can we just take a minute and look at this adorable studded handbag!! So cute and I love that it can be worn on the shoulder, as a cross-body, or by the small handle. Can you believe it's only $20!? So good! It's available in this gorgeous cognac and black. 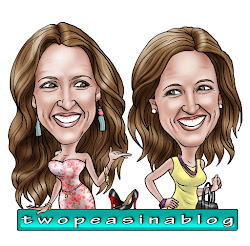 Thanks to Walmart and RewardStyle for sponsoring this post. As always all opinions are my own.